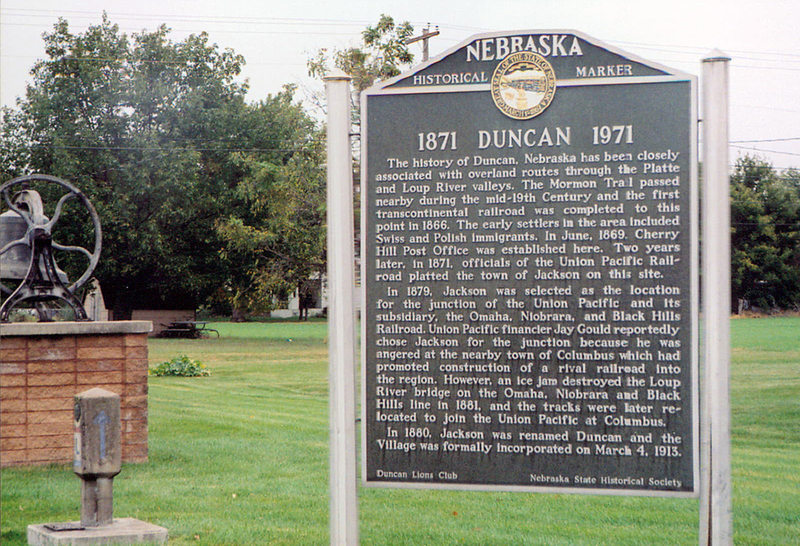 The history of Duncan, Nebraska has been closely associated with overland routes through the Platte and Loup River valleys. The Mormon Trail passed nearby during the mid-19th Century and the first transcontinental railroad was completed to this point in 1866. The early settlers in the area included Swiss and Polish immigrants. In June, 1869, Cherry Hill Post Office was established here. Two years later, in 1871, officials of the Union Pacific Railroad platted the town of Jackson on this site. In 1879, Jackson was selected as the location for the junction of the Union Pacific and its subsidiary, the Omaha, Niobrara, and Black Hills Railroad. Union Pacific financier, Jay Gould reportedly chose Jackson for the junction because he was angered at the nearby town of Columbus which had promoted construction of a rival railroad into the region. However, an ice jam destroyed the Loup River bridge on the Omaha, Niobrara and Black Hills line in 1881, and the tracks were later relocated to join the Union Pacific at Columbus. In 1880, Jackson was renamed Duncan and the Village was formally incorporated on March 4, 1913. 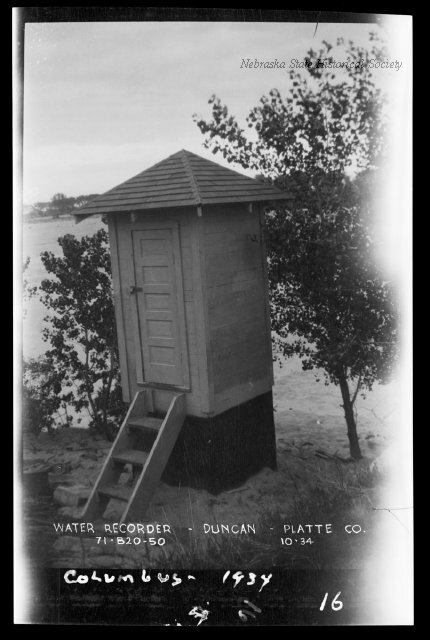 “Duncan, 1871-1971,” Explore Nebraska History, accessed April 18, 2019, https://mynehistory.com/items/show/410.